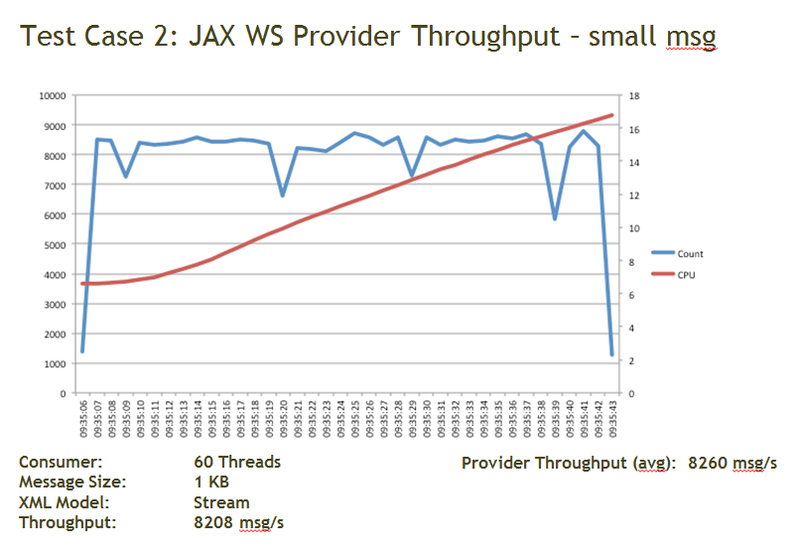 I would like to show some performance benchmarks for Apache CXF on SPARC/Solaris 11 Platform. CXF was deployed in OSGi Karaf container and uses Jetty as Web Server. JMS communication was done using Apache ActiveMQ broker, database access was based on EclipseLink JPA with Apache Aries managed transactions and Oracle DB server. A lot of thanks for colleges Marian Kueffner for composing and integration of benchmark results and Christian Schneider for supporting me with the tests. 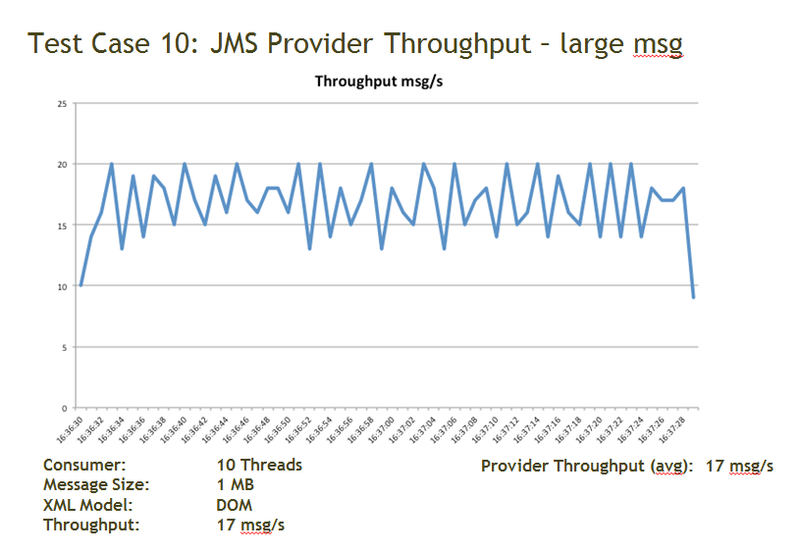 Every scenario was executed with messages of three sizes: small (1 KB), medium (10 KB) and large (1 MB). 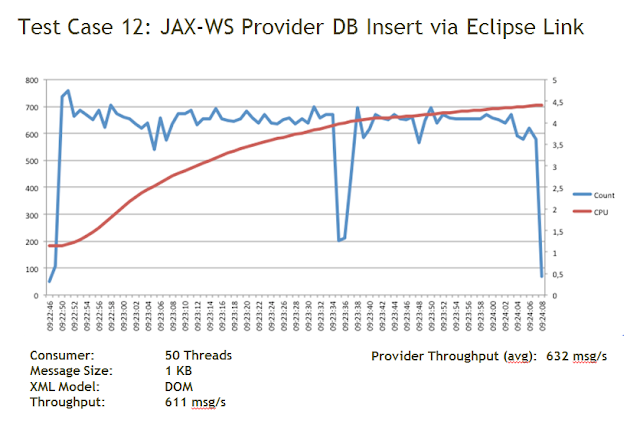 Service implementation simply redirects request to response and in scenario (C) additionally fulfills DB access operations. 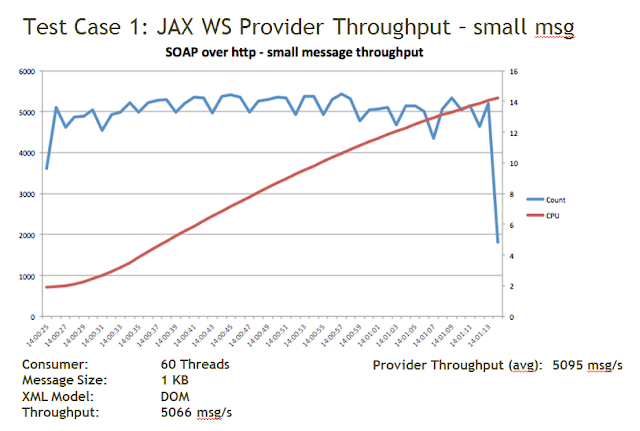 The focus of benchmarks was DOM-based message model, but for some scenarios service was tested also using stream oriented message processing. 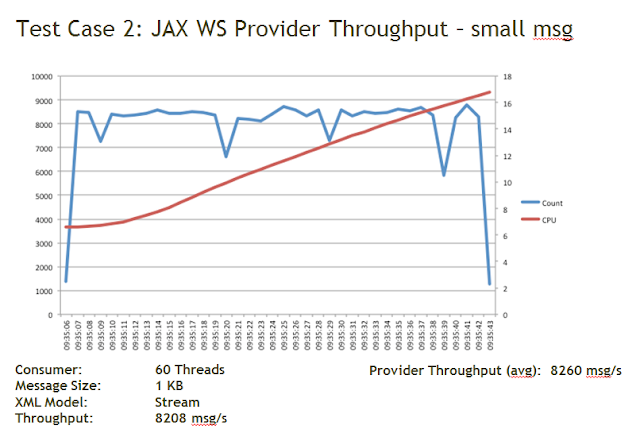 Throughput on the service side and CPU load are measured. 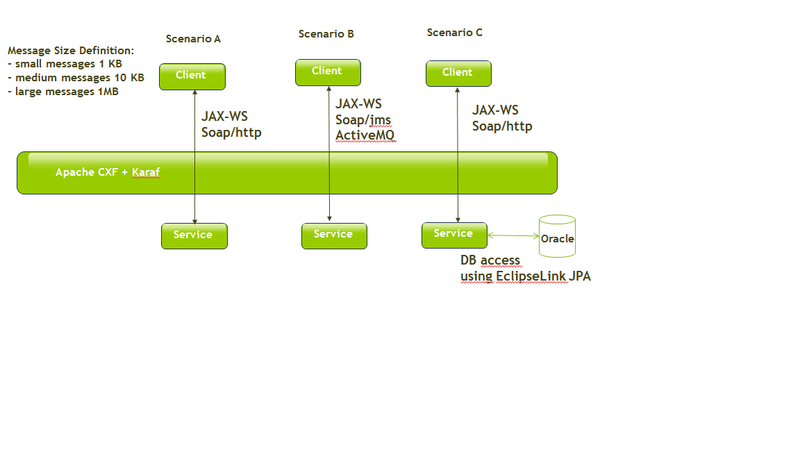 In this scenario service was loaded using 4 clients: three SoapUI and one CXF. Clients were activated sequentially with 1 minute interval. You can see how service load changing when the next client becomes active. Generally CXF shows high performance in described scenarios on Sun Solaris Platform. 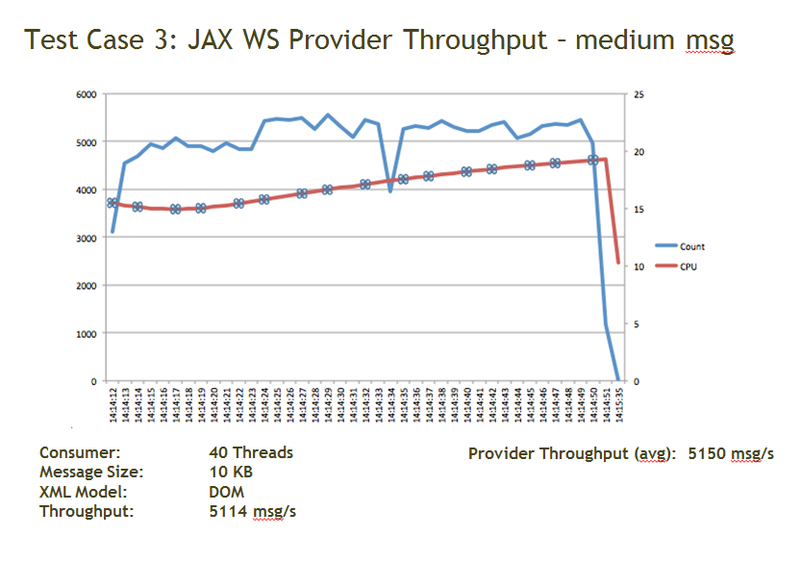 Single thread shows pretty low performance, but system is highly scalable. 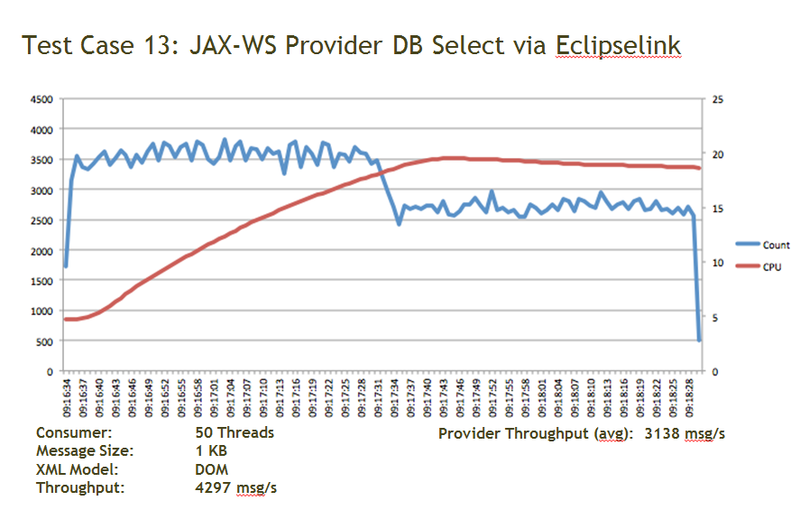 Perhaps Solaris should be additionally tuned for single thread. Service (provider) is very scalable. 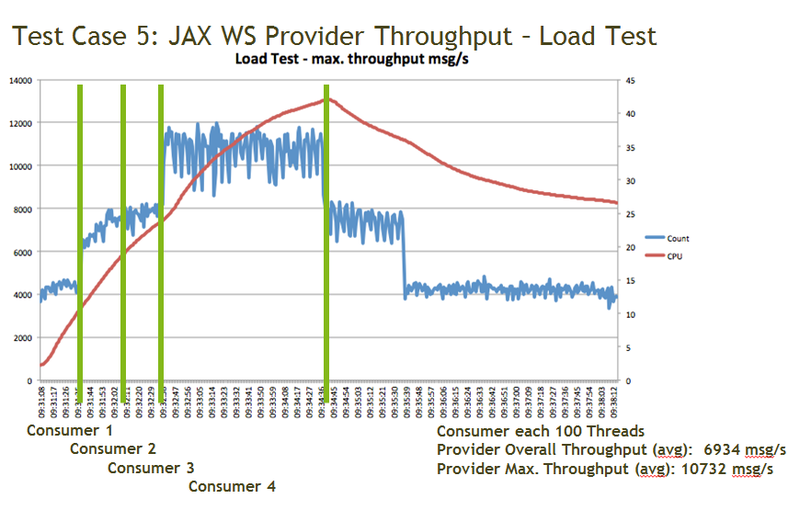 As you can see in the Test Case 5, adding more consumers just increases the service throughput. 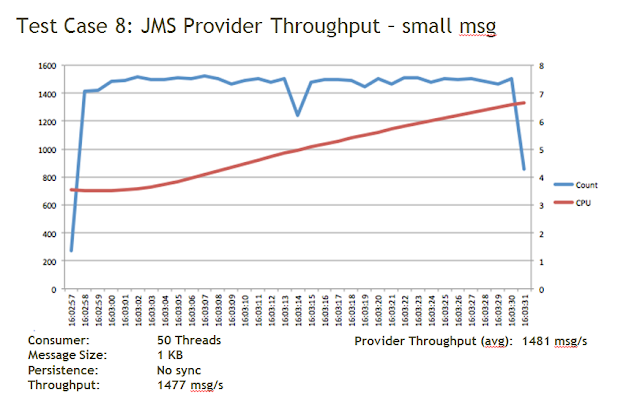 I reach more than 10K messages per second, but it still was not the top. 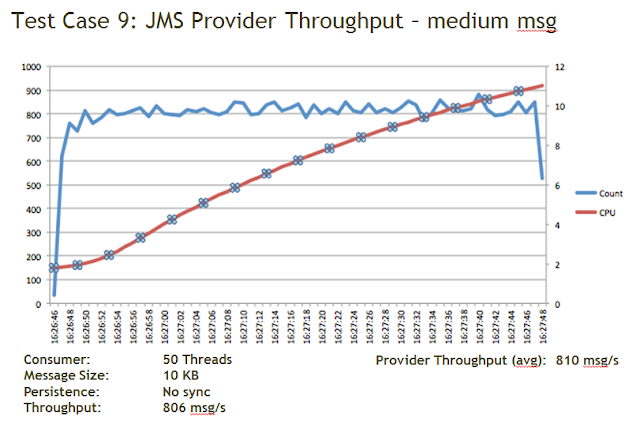 JMS scenario with ActiveMQ shows relative low performance with default configuration. 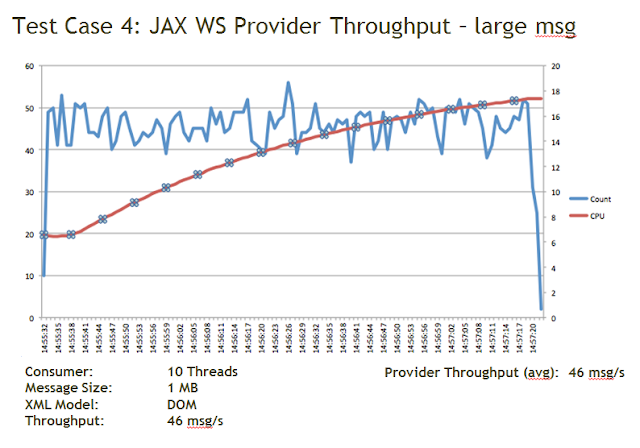 The numbers are much higher if persistence is deactivated or at least immediate synchronization is switched off. Stream oriented message processing increases throughput on 25-30% even for small messages.